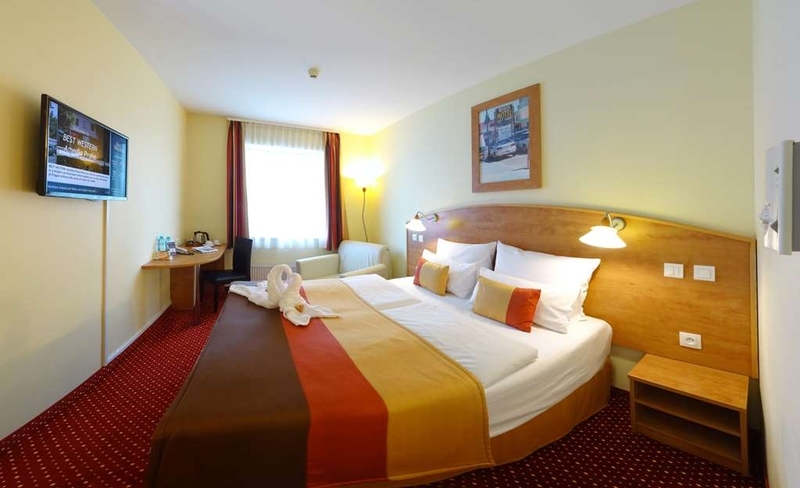 The Best Western Amedia Praha is ideally located in the center of Prague. Come and experience our hotel near the major tourist attractions. Best price guaranteed and exclusive deals. Welcome to the Best Western Amedia Praha. For budget conscious business travelers and tourists, our modern and comfortable hotel in Prague's Chodov neighborhood is nearby the biggest shopping centre in Prague which offers a wide selection of International brands, restaurants, and entertainment sites as well as a fitness centre, bowling and bars. The hotel is well appointed and three-star rated featuring comfortable and affordable renovated rooms exceeding the standards. All rooms are air-conditioned and equipped with satellite flat screen televisions, a desk and a bathroom with shower, WC and a wash basin. Modern style fully renovated rooms with double beds for one or two people with choice of Business or Standard category. Best Western Amedia Praha is known for the attractive price-for-value ratio throughout the year, even during fair and event periods. 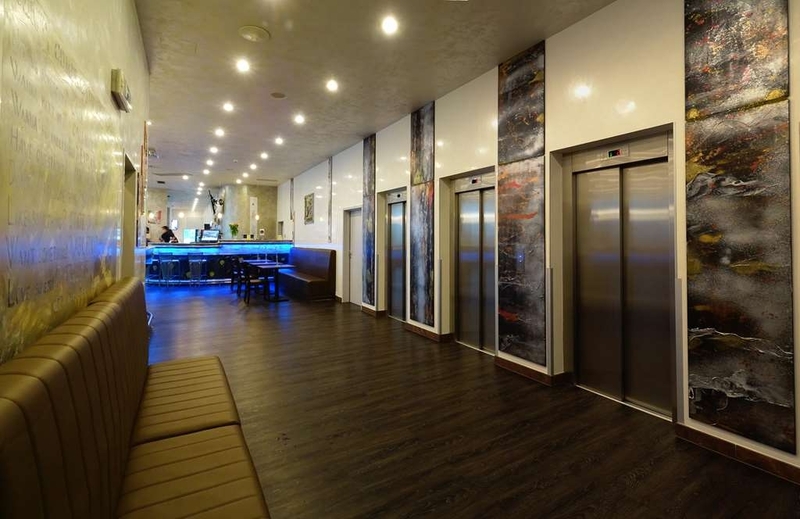 There is a great connection to the busy center of Prague which makes the hotel a perfect place for businessmen, visitors of Prague's many congresses and exhibitions as well as for tourists who seek a quiet place to rest after a busy day and yet want to be able to reach Prague's busiest streets in minutes. Our front desk is open 24 hours to ensure easy check-in upon arrival. The hotel is located close to public transportation with the metro only 500 meters away and the city center can be reached within 20 minutes. For those traveling by plane, the airport is also only 20 minutes away. There is easy accessibility to the D1 Highway as well as quick car access to the city ring road. Enjoy your stay! We stayed in this hotel during our Prague trip last year. The hotel is a bit outside of the center, about a 20 min metro drive. The metro station is located at the shopping center, about 15 min walk.The road is very dark and unsafe, we would only take the taxi back to the hotel. The rooms are average and clean. The most disappointment was the breakfast. The breakfast area was located at the reception between leaving guests and suitcases. The range was only one sort of bread and cheese, boiled eggs and cherry jam. Not exactly what we expected. "Fine hotel, south of the city"
Nice and clean rooms. The breakfast was excellent, perfect internazionale . Many kind of salami, ham, cheese, roll, bread and lot of vegetable. When some dish been empty the workers immediately filled it. The WIFI not so strong but we could to use. I can just suggest. "Budget Hotel, Far from city"
The place is far from the city centre, and is around 15 mins walk from Chodov Metro, from where it takes another 20 mins to the centre. The air-conditioning of the hotel wasn't working and as previously said the windows do not open. I went to the reception at around 11 and the response I got was a shocker, the front office told me 'we cannot change the AC for you' though the staff was courteous overall maybe the lady had a bad dAy and took it out on me.. if you are on budget you could give this place a shot. "Far from city, awful but budget hotel"
1. Its too far city center, you have to walk around 3/4 km to get MRT go to city center. 20 mins by MRT to city center. No public transportation is available near hotel. Nearest MRT station is Chodov. 2. The front desk staffs are not well behaved and very rude. 3. Breakfast line starts from the elevator! its too crowded and not enough space for break fast. You have to wait for a seat. Too much waiting for the elevators and little space in it. 4. Bathroom space is too small for a gentle man. 5. Rooms are clean and tidy. 6. Budget Hotel. "Out of the city but reasonably priced"
This hotel is out of the city with a 10 minute walk to the subway and mall. The rooms were clean and tidy however a little small and dated. There was no hotel safe to secure any valuables. The reception staff were fantastically helpful, but if you are wanting breakfast be in early to make sure you get what you want as the dishes are not replenished regularly. I know it is budget hotel but it is awfull. When we visit the air condicion was broken and as everyone else says the windows are not opening so it was a disaster. The guest at the hotel just spent the whole time on corridors and on the floor. The breakfast is not even ok. The hotel has a seperate vip breakfast area. Which makes me wonder what kind of a vip this hotel can get. The place is so crowded and the breakfast nook (it is really a nook) is also reception. The elevators are so hard to find. And also used for service elevator so in crowded hours of day like mornings two of them is off (there are total 3), for only usage of service cars etc. Hotel is so far away from the city. And the cleaning is questionable. So spent your money elsewhere. Also staff is so rude. It's very far from city center 20 min walk to metro station, and 30 min with metro ?? Breakfast is week, almost no choice for eating. The room was small but it's manageable. The towels were awful thin and old. If u are going to Prague as tourist don't stay here ! It s a very simple and basic hotel but very clean and breakfast really nice. When you arrive you find complimenrary water bottles, cookies and muni haribo at room as a welcome gifts, we only stayed one night in our mini visit to Prague from Wien. "Average Hotel far from the city"
The hotel is located in semi-industrial area outside the Prague city. The only nice place near the Hotel is the shopping center nearby. The hotel room was clean and ok, but nothing fancy. The breakfast was quite basic buffet. good enough for business traveller but i would be disappointed staying here for vacation. "dirty place with bad location"
"Not so good for a 3* hotel!" The rooms are very small, also the bathroom. We stayed in a deluxe room and was pretty small. I guess the standard room is smaller. Although the bed is confortable. The breakfast is good. The staff is not so helpful, they don't know English so well so is a bit hard to have a conversation with them. Just a 3 star hotel, we booked 2 normal rooms with modern tv and a working airconditioning. Rooms are clean and friendly crew. Also every day free cookies and new water. 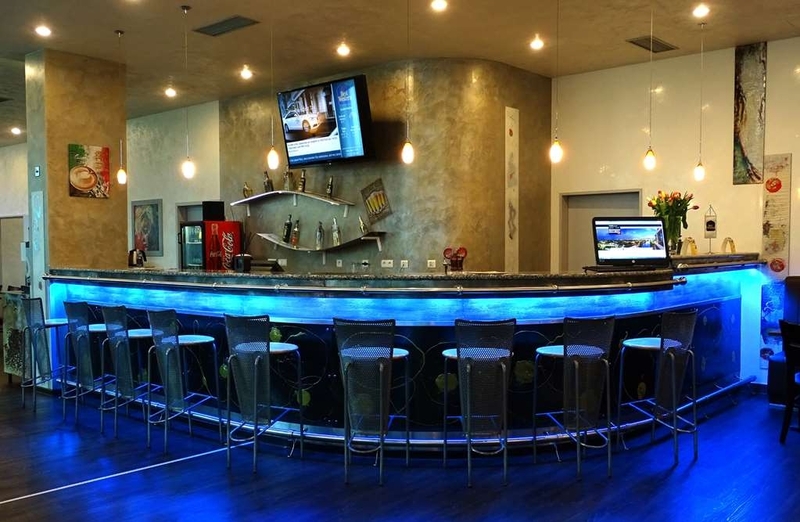 Bar is nothing special but they have pizza's and drinks. Also the breakfast is nothing special but enough. Not a luxoury hotel but worth the price! we enjoyed it! "Tidy hotel, poor location & miserable receptionist "
This hotel was clean and tidy and looked good from the outside. The receptionist wasn't friendly and tried charging us for an early check in, I refused and sat in the reception area, after half an hour she gave us our room key, shame that they try and get extra money from you when the room was clearly ready anyway. I was expecting better as have stayed in much better Best Western's. The breakfast was included which was a bonus and they gave me a shaving kit as I forgot my razor - that was really great. It took 15 minutes to get to the metro not 8/10 as they say. 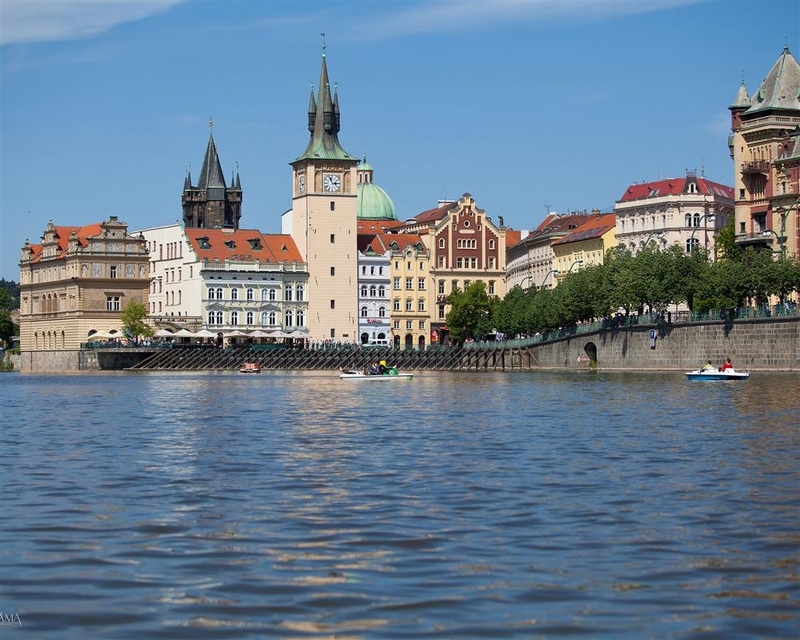 "nice experience to stay here while Eastern Europe tour"
it was a nice experience to stay out there still far from the city prague but managable as metro is nearby and good mall around and one of the good dectatholne also just outside the hotel. we had a breakfast over there and it was also quiet good. Hotel offers good free wifi with nice speed to use. "Good hotel for a stop..."
We stayed in a triple room and I think is too small for 3 persons. I asked to change my room because it was a problem with the air conditioner. Very guest friendly. Breakfast very good. The stuff is nice. "Fine place to stay for one night only. 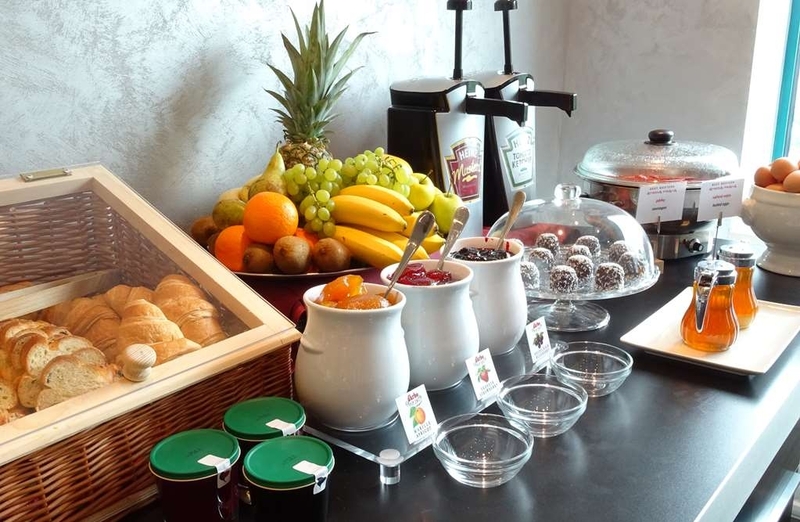 Don't expect great breakfast"
Had to book a hotel for one night in the area and chooses Best Western Amedia Praha. The location is okay, but expect to walk quit a while if your'e not with car. Also, the area is surrounded by highways, so no pleasure walk. The service desk was nice and friendly. The hotel looks modern with minimum decorations. The hotel rooms are small but comfortable. The most disappointing was the breakfast lounge. Nothing exciting and the trays were almost empty. The eggs was overcooked and bread was dry and tasted old. As a hotel chain, I expected no surprises from this hotel, but it didn't work quite well. The location is a bit far from the center, but the metro station is 10 minutes walking distance. Rooms are small, but clean. Beds and pillows were really comfy! But there weren't really place where you could put your clotes, only hangers and two shelfs what I couldn't reach, they were quite high. The bathroom was really small, and the layout wasn't so practical, as from the toilet you had to turn backwards and bend under the sink to reach the toiletroll. There was a tea and coffee corner with kettle, water and buiscits for the guests in the room. Really nice. The biggest dissapointment was the breakfast for the first morning. Almost as poor as in a youth hostel. When I asked if there any warm food (scrambled eggs or sausages) the receptionist told me that only food what they have is what we see. It was strange, becasue if you are diabetic or you have guten intolerence you couldn't really choose food. But next morning there were scrambled eggs and sausages as well. Other bad thing, that there weren't enough elevator for the amount of guest and it could go up and down in the same time, depended on which floor the button was pushed, so we ended up going to the 5th, then 2nd, the 4th then again down for minutes. Overall it was ok, little bit less than what I expected, but clean rooms and comfortable beds are the most important for me. Hotel is located a bit far from the city center. Metro station is near ( 10 minutes walking) and takes 15-20 minutes to get to city center. Hotel very clean, reception staff was friendly. Breakfast was average. In general, value for money was more than good. The hotel was okay, clean and not too small. The breakfast in the morning was very good, many different options to choose from, some local specialties. We found some stains in the room, but overall it was clean. The receptionists were very helpful, answering questions about sightseeing spots or clubs. It's located a 5 minute walk to a shopping mall where the subway to center of Prague goes. There's a KFC right under the hotel, which is nice. Parking was free and easy to access! Hotel is very nice,nite and clean. Breakfast is very good ,rooms are cleaned on daily basis. I stayed for three nice days. Restaurant and big shopping center is near. Price of hotel is low for things you get for. Highly recomended . "Good value for a great price "
This hotel was part of a city trip package and I was pleasantly surprised by the quality. Nice clean rooms and bathrooms. Breakfast was good with a good variety of food items. Located 7,5km from the city center was a little bit of a turn off, even though the public transport connection is very good, the days we visited there was construction on the metro, it was a challenge to figure out how to get to the center. But I'm going to a convention soon and have booked this hotel again. Nice clean room with comfortable bed. Water pressure in the bathroom was not so good on the seventh floor. There is a extra charge of 10 EUR per night for parking your car in the garage. Breakfast is very bad with the bare minimum of food and stale bread. All in all a not bad hotel for a single night in Prag. "Brava Praha BEST WESTERN Amedia Praha"
Granted, this location isn't close to the center or to Old Town, but it's a great brand property for spacious rooms, comfort, free wi-fi, decent breakfast, amenities and budget. The only gripe might be the slow elevators. I bring groups to Prague on our paranormal-themed GHOSTour.com, and there was nothing "scary" about our stay. This was an ideal choice for our guests (who even took advantage of the 24-hour KFC on the same location). We spent 3 nights in this hotel. It was comfortable and a typical economy stay. The hotel is located about 8 metro stations away from the city center. It is definitely not the prettiest neighborhood since it is a bit outside the city, and there are only some business buildings, highway and a mall nearby. You will have to walk some 10-15 minutes to the metro station, but in general it is well connected to the city. The room was very clean and basic. Comfortable bed, and a clean bathroom (shower curtain can be cleaner though). TV is ok, mostly showing czech program. There is no mini-bar in the room. The only issue we had was the fact that the windows can not open at all (not broken, just the way they are on the 4th floor). The air-conditioning is working all the time, and is a bit noisy, but for us it was not enough in june, we just needed some fresh air from outside during the night. The hotel staff was friendly. The elevators very slow, and the breakfast was served at the bar near reception. It is a typical continental breakfast, not bad, but it would be nice to have some warm breakfast options like scrambled eggs. Wifi was great in the whole hotel. "Handy to bus, underground and mall." Hotel was clean but beds very uncomfortable, no mini bar in room no coffee maker or hot pot even though brochure said to pick up at front desk if needed, we were told they are not available. Breakfast was fine. 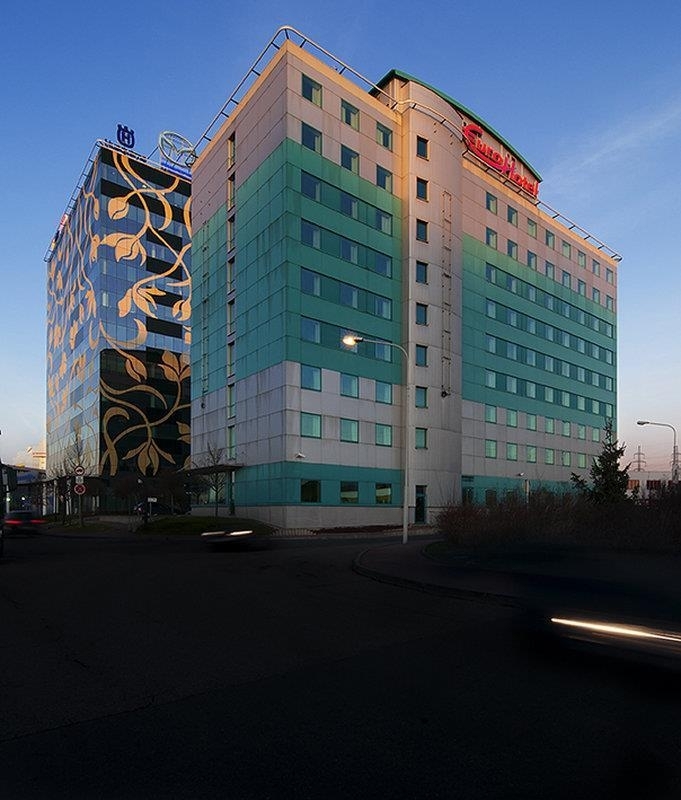 Located in busy highway interchange and far from Center of Prague. New traditional BW Hotel located just outside Center City Prague. Located near a subway stop, it is easy to get to and more peaceful than a downtown location. Helpful, friendly staff. Good breakfast and rooms. Economy class stay, room floor was not clean, with food leftover. Breakfast table was half empty - just corn flakes and milk. Hotel is surounded by highway, so it's not too convenient to reach a metro stop. Anyway, suitable for a 1-2 nights stay. Location is very far away from the city. Hotel room was dirty. Poor bathroom. Poor wifi in the room. Very bad breakfast except for the coffee. Very bad towels. Crowded more than the capacity. We do not want to stay there once more. I had a very nice time at the Hotel. The room was very clean, the bed was very nice and the staff were fun to be around. The subway and mall were just a short distance from the Hotel. Subway was clean, easy to understand after the Prague metro app was installed on my phone. Only stayed for a night and if you don't mind that it's not in the center of the city it's pretty good deal. I stayed in a single room, which was pretty big compared to others I've been to. The room was clean and staff very friendly. There is a KFC right across that is open 24/7 and also has a gas station located nearby. Very nice hotel, clean room and the breakfast buffet was great. Near the Mall and Metro train station, about 10 min. walk. One good tip for the tourist going to Prague. 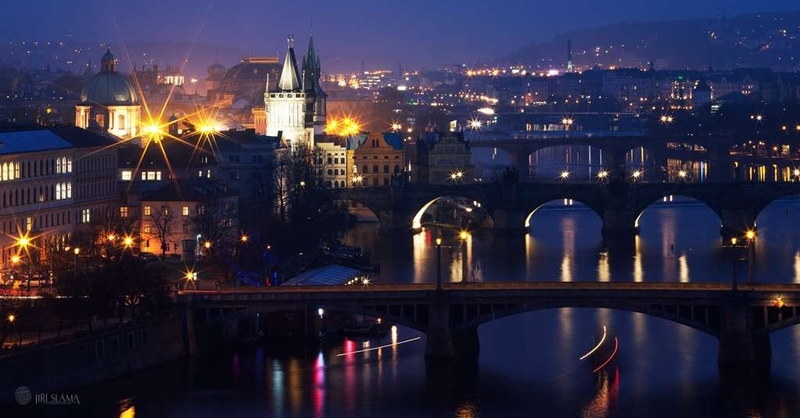 Exchange your money in Prague because you get more value of your money. I highly recommend this hotel for anyone who wanted to visit Prague, an economy hotel with very good service. 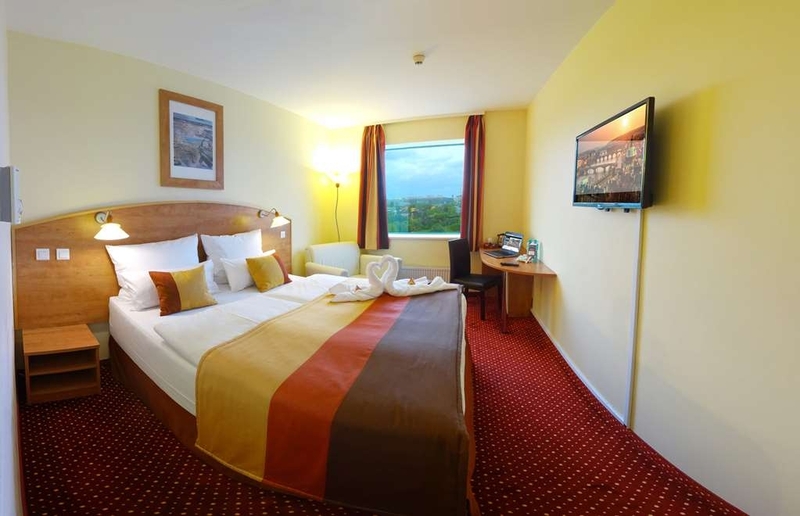 "Friendly personnel and comfortable rooms. I would definitely stay there again!" The Staff of the hotel is really nice and friendly. The rooms were clean and comfortable. The bed was also very comfortable. I was there during a very warm summer week (35 C), and the air conditioned saved my life! Not all the hotels in Prague have the air conditioning. "Definitely not a 4* hotel"
Hotel is quite far from the centre of city so not suitable for tourists. The location worked well for me though for purpose of my short stay in Prague. Receptionists were welcoming and very helpful except one that worked night shifts...she was a bit grumpy and looked at me like she was in fairies when I spoke to her. 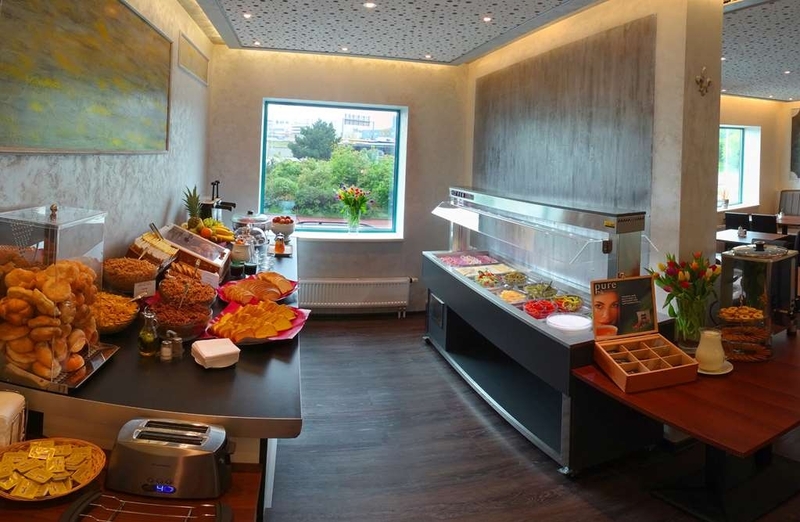 Continental breakfast is included in stay so it is up to you if you have it or not. Do not expect great quality of foods in offer...stale bread & bakery products and fruit looked like cut yesterday (cuts were brown). What shocked me was no kettle with cups and selection of teas and coffee available in room. That is definitely something you would expect even from 3* hotel...a must for 4* hotel that BW Ameida is supposed to be. They do not supply body care in individual packaging but have dispensers for shower gel & shampoo in one. Wifi connection was constantly disconnecting so Skype calls were impossible to do. I stayed in another 3* BW hotel not long ago. They had all you would expect from 3* hotel...This one was a bit disappointment. 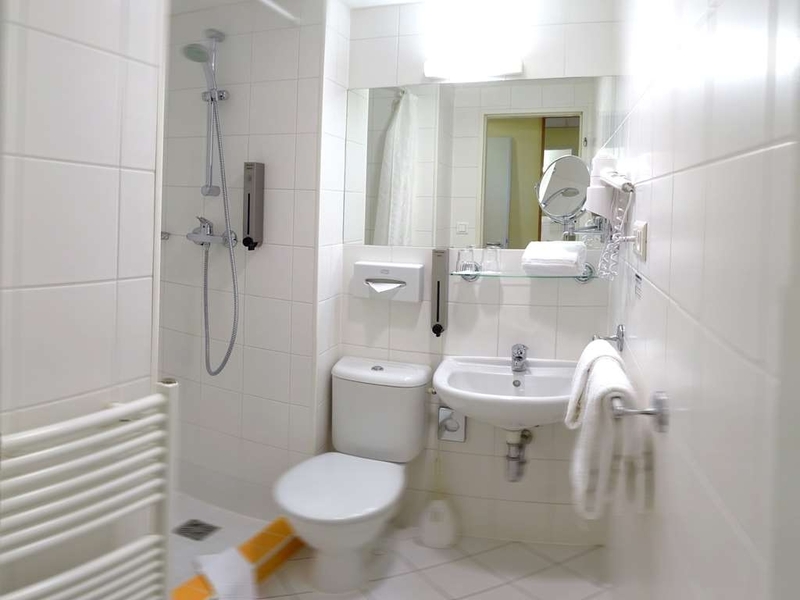 Nothing special, but all good :) Clean rooms, breakfast all you can eat, location is not so good, but it is not problem because metro station is not far, so you can get to center of Prague in less than 10min. Wifi is free but only at the reception area. We had a small, but very convenient room, the bed was very comfortable, we received two bottles of water and cookies for free every day. The breakfast was very good, especially the coffee. We could reach the Metro by bus, or 15 minutes by walking. The Metrostation had a very nice shopping center where you could eat, there was a supermarket, and many other stores. The Metro took about 15 Minutes to the centre. We would come back to this hotel any time. I stay one night in this hotel. I think I will not come back last time. Hotel located near the highway which is convenient for drive a car. But it's not easy to find with GPS. I arrived that place, what I saw around is a big KFC. After I have to turn to the back of KFC and finally I found it! The room is clean, especially the bed is comfortable. But not enough warm for winter. Maybe I expected too much for best western hotel Chanel. But I think it's less better than the others hotel. By the way, the breakfast is bad. Even nothing hot for eat. :( And there's no restaurant in the hotel. You can eat KFC otherwise you have drive or walk at least 10 mins to find a restaurant. Not convenient enough. The hotel looks more like a modern youth hostel. Most guests are also really young. There is only only one staff member at the reception who will ask you to fill out long paper form, which will take you about ten minutes. The room itself is quite small and actually IMPOSSIBLE to climatize. We were here in december. The room was over 30 centigrade and stayed incredibly hot for two days, even after we turned off the heating COMPLETELY. It is impossibe to open the window in any way. Please note: room prices are much higher if the quotation is in euros. The hotel rate is 28 crowns for 1 euro, which is really bad deal, so make sure your quotation is already in crowns. The breakroom is really cramped (too little space and too much chairs and tables), Expect long queues in the morning. Excellent coffee, bread is stale. Eggs are boiled for hours, do not bother to try them. The elevators take ages to arrive in the morning. We were billed too much (we later discovered the hotel charged our credit card two days before our arrival) and it took a lot of effort to get a refund, which we eventually received, but only weeks later. 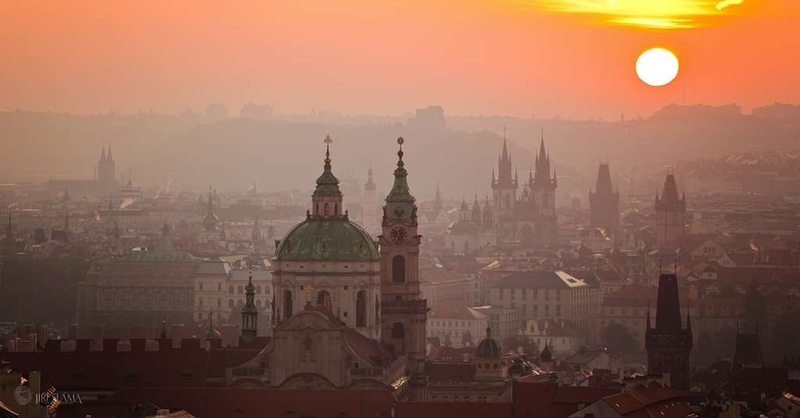 There are really better hotels in Prague for less money. "Madonna concert - Rebelheart Tour"
This was an excellent hotel. The breakfast is quite good, many of dishes, drinks and salads. The room is clean, and the view to Prague is fantastic. We were in the 8th floor in room 821 and 822. The staff were pleasant and very helpful. Free wi-fi in the room was good. This was an amazing trip. Notice: if you travelling to Prague with bus, the busstation named Florenc, from the station to the hotel don't follow the Google Maps, you go to the Metro C to the station Chodok, this was near to the hotel, cca 15 minutes walk. Have a nice trip. We were sleeping here only for one night, but the experiance was great. It's nothing special as its a 3 star hotel but it's really comfortable and clean. Breakfast was also great with decent selection of foods. Theres the biggest shopping mall in Prague just 15 minutes of walk away with metro station to the city center just by the shopping mall so the public transport connections are ok as it involves some walking to the metro. You can get a map with instructions on how to get to the station at the reception. Really pleased and I recomend the hotel to any visitors. I can recommend this Hotel everyone. Everything was good apart from one of barman who was unhelpful. Hotel is about 10min on foot to underground, and big shooping mall. As if room it was quite good. On 9th floor is magnificent view on Prague. We stayed there for 1 night in August, 2015. They have a parking lot under the hotel. Price is not cheap, but for Prague parking places was very reasonable. (around 13 Eur per day). Information at room info folder was old. Fast wi-fi, without any conection problems. Receptionist kind and helpful, but seamed very sad and unhappy. At breakfast were not served hot dishes, (well, when we finished, we saw, that something was prepared on request). Unreased walking distance to metro station, seemed too long and silly. By metro takes around 30 min to city centre. Hotel is located in some kind of industrial zone or something like that- higways, shopping centres and industrial- type surrounding. "Hotel with good connection to center"
Very good connection to center. Just 30 min by metro. Quite location. Horroble brekfast!!! Have to wait 1 hour for coffee or tea. Also for food spend a lot of time in queue! The breakfast area need minimal 3 x more capacity. Also food option is very simple. 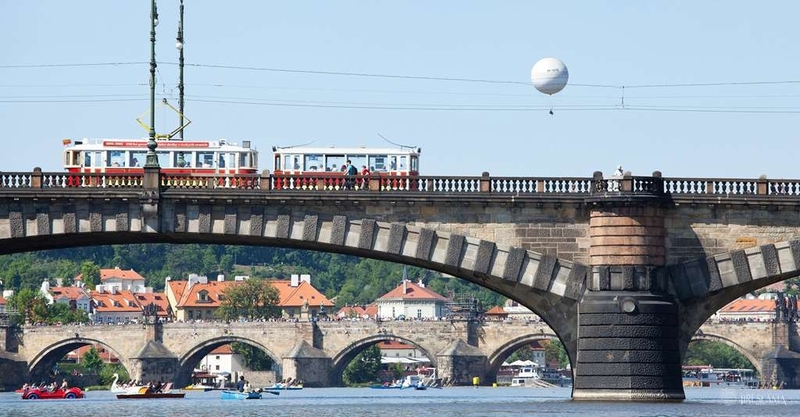 We spent 4 days in Prague at the beginning of the August 2015. It was very hot and it was good that air-condition in the hotel room was working perfectly. The room was clean, bed was comfortable, breakfast satisfactory. Reception staff I didn't like. They never say Hi to the passing guests, they always looked like commenting and laughing at guests. Upon arrival rooms were not ready to check in at 14:00. "Good value hotel overall! Free WIFI was in our rooms was a bonus!!" This hotel was very good value for what we paid. I really don't think that the hotel was that bad, and the only thing that I feel that let this hotel down is the location. Although they don't claim to be near the centre of Prague. I definitely would stay more central next time I visit Prague in 'stare mesto' - old town as some of the hotels were lovely for not much more. This hotel is pretty much in a service station, next to a KFC, petrol station and a decathlon. It is about a 10 minute walk from a huge shopping centre where you can catch the tram to the centre of Prague which takes about 15 minutes. The hotel is quiet secluded and away from it all. Breakfast wasn't that great - but again I can't really moan for the cost of the hotel. Avoid getting to breakfast no later than 9.30 as there won't be much food left!